आषाढी एकादशी निमित्त अभंग स्पर्धा. Abhang is a form of devotional poetry sung in praise of Lord Vithoba (Vitthal). See if you can identify all the abhang's. 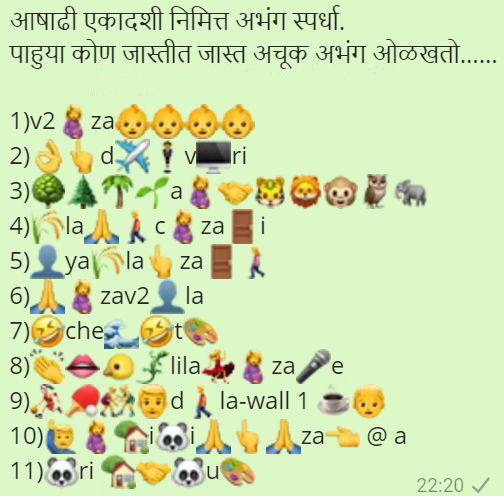 Share with your family and see how many abhang they can guess.